Aquarius likes and dislikes might resemble a jumbled up roadmap and are sometimes just as difficult to follow or anticipate! This is one sign that takes eclectic to a new level. Sagittarians are known for their optimism and love of freedom, but they are not just happy-go-lucky party animals. Archetypically, they are the explorers, the priests, the teachers, the philosophers, the intellectuals, the storytellers, and the clowns. Which are the most compatible signs Aries should surround themselves with in order to gain the most from their relationships? The answers may surprise you. Do Libras have mental problems? No, they don't suffer from mental illness more than any other sign. It's just that some Libras might appear as if they have mental issues because they have such difficulty making up their minds. Sagittarians are friendly, happy individuals who always seem to see the bright side of things and share their euphoria with everyone they meet. Few individuals can express happiness and joy or be a more fun friend that a Sagittarian. The Gemini cusp can fall on either side of the Taurus Gemini cusp or the Cancer Gemini cusp. Both of these aspects lend a different flavor to the Gemini personality. It's time to explore both! He's passionate, assertive, and straightforward, and when an Aries man is hurt, he will let you know. If you've broken up, handling your future interactions can be challenging for both of you at times. How Does Sagittarius Express Emotions? Throughout history, there have been many interesting Capricorn men. The tenth sign of the zodiac, Capricorn is represented by the goat, a sign of ambition (climbing to the highest peaks of the mountainside) and power. Investigating a Leo's personality traits is like reading the credits at the end of a movie. Leo could easily play every role in the film and still fret over the lighting to ensure he's always in the spotlight. Debonair, charming and a bit of a scamp, that's the Libra man, at least on the surface. Still, there's something more to Libra men that make them worth pursuing and trying to keep once you catch him. There are always lucky days ahead for Aries as well as for everyone else in the great astrological chart of the heavens. Aries' lucky number is 9, and the ram has several lucky days throughout the month. The personalities of astrology signs are influenced by many things. Come find out what makes you tick! The physical characteristics of Aries are often quite obvious, perhaps because this sign is the first of the zodiac wheel. Sagittarius is undoubtedly one of the more colorful members of the zodiac, and there are various legends associated with this sign. Learn about the centaur and the archer, and see why Sagittarius is such a character. Sagittarius men are incredibly playful, fun and smart. Whether yours is a philosopher, a jokester or an appealing combination of both, you'll see that there's plenty to love about the archer! Scorpio is one of the most profound and mysterious signs of the zodiac, and a Scorpio in love can be a powerful and invested partner. However, when ignited by conflicting passions, a Scorpio's relationship can erupt into an unpleasant melodrama. Scorpio profiles often discuss the negative sting of this sun sign. While this is certainly a sign characteristic, Scorpio also has many redeeming qualities. The characteristics of a Scorpio mom make her one of the most devoted, protective, controlling, possessive, fearless or fearful, and neurotic moms in the world. These mothers are emotional, demanding, and demonstrative. What are Librans like? Libra has many great traits. Chief among them are grace, charm, and a knack for seeing both sides of an issue. Looking for which characteristics make up the typical Aquarius? Like most zodiac signs, the typical Aquarius is unique enough that you can often identify one easily. What Is My Astrological Moon Sign? What Is Pisces Good At? Your astrology sign and personality traits are inextricably linked from the moment you're born, and it's this cosmic connection that makes each sign unique. The information in this category is designed to help you learn more about your own zodiac sign, as well as the other 11 signs of the zodiac. People can be difficult to figure out, but the job's a lot easier when you have a basic understanding of each of the zodiac signs. That's when everything becomes clear. 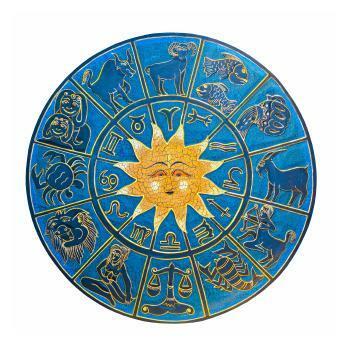 Basic Characteristics of the 12 Signs - Each sun sign has some basic personality traits that are shared by all people born under that sign, at least to some degree. Learn general traits for all 12 star signs, and take a deeper look at individual signs like Libra, Aquarius, Aries, and more. Personality Traits by Gender - Men and women have distinctly different ways of viewing and reacting to the world around them, so the individual traits of any zodiac sign are filtered through a person's gender. Find out what makes Virgo men tick, why Pisces women are so complex, and why Gemini men are so changeable. Moon Sign Info - Your sun sign is just one facet of your zodiac makeup. Learn about your moon sign and how it influences your personality, your compatibility with others, and the way you view the world from the inside. With so many possible combinations of sun and moon signs as well as other aspects in each individual's chart, it's easy to see why every person is so unique. Use the articles in this category as a study guide, one that just might help you forge stronger, more compatible relationships with the people around you.